Two more Kashmiri students have been arrested in Himachal Pradesh's Solan district for their alleged anti-national activities, police said Monday. Pirzada Tawish Fayaz and Aakib Rasool of Jammu and Kashmir were arrested Sunday night for their alleged involvement in "anti-national" activities, Himachal Pradesh Police spokesperson and Superintendent of Police (law and order) Khushhal Sharma said. They were studying at the Dr Yashwant Singh Parmar University of Horticulture and Forestry in Nauni of Solan district, popularly known as the Nauni University. Sharma said that they were arrested on the basis of a complaint from one Neeraj Bhardwaj of Ber village in Solan. In his complaint, Bhardwaj alleged that Fayaz had posted anti-national comments on his Facebook page, the SP said. A few comments had also been attached with the complaint, the police official said. The complainant further alleged that both Fayaz and Rasool were involved in anti-national activities and were "supporting Pakistan in India's fight against terrorism", the SP added. Bhardwaj said he had come to know about the duo's "anti-national" activities through his friend Vipul Sharma who is also a student of the Nauni university. Subsequently, they were arrested and a First Information Report (FIR) under Indian Penal Code sections 153 B (imputations, assertions prejudicial to national-integration) and 34 (acts done by several persons in furtherance of common intention) was registered against them at Sadar police station in Solan, he said. 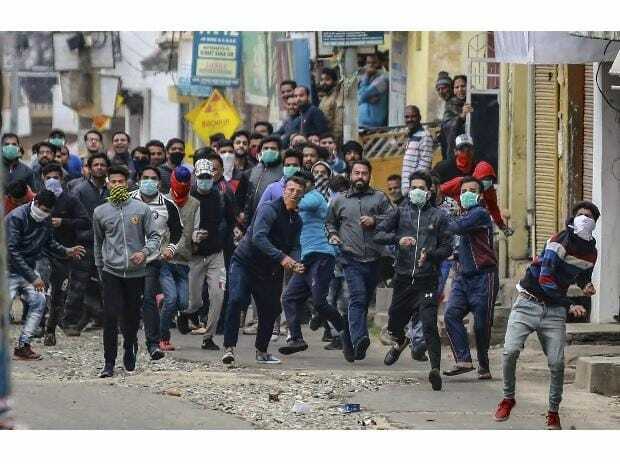 The number of Kashmiri students arrested in Himachal Pradesh after the Pulwama terror attack for their alleged involvement in "anti-national" activities has now risen to three. Tahseen Gul, who was studying at the Chitkara University in Baddi town and hails from Srinagar, was arrested Saturday for making "anti-national" remarks on photo-video sharing app Instagram.